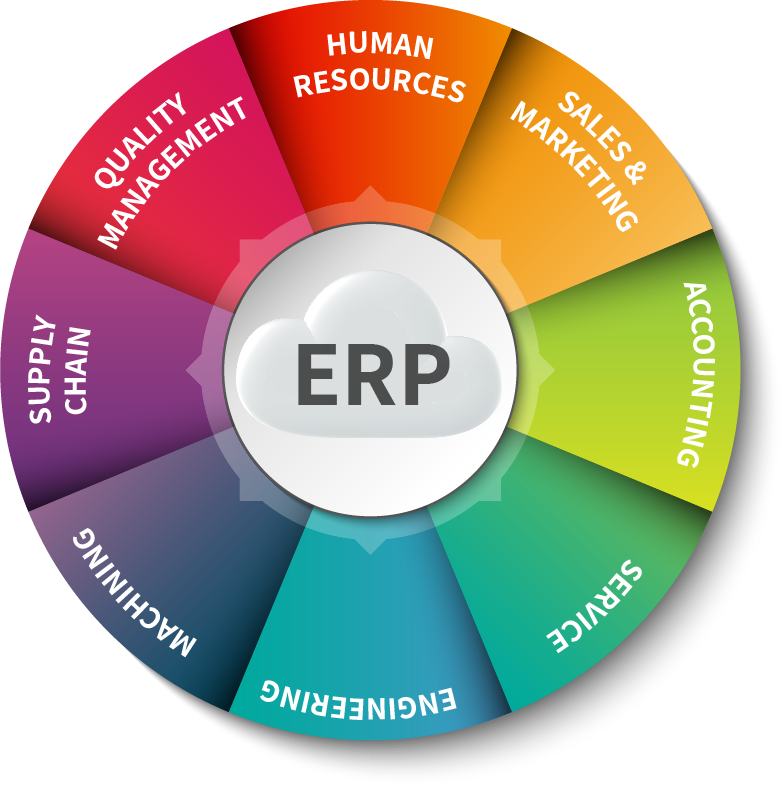 The enterprise resource planning (ERP) industry is rapidly evolving. Find out five emerging trends you’ll need to know to stay ahead of the game. ERP Trends 2019- Enterprise resource planning (ERP) platforms are an old-school software concept that’s working hard to stay relevant in this new age of smaller, more focused cloud service applications. In a nutshell, ERP software is software that’s typically delivered in a modular fashsion—a financial reporting module, a human resources (HR) module, a sales pipelining module, and so on—with customers choosing which modules they need to completely address every operational aspect of their business. When compared with smaller, more nimble cloud-delivered apps that many companies (including enterprises) find so attractive these days, the problems inherent with the old-school approach boil down to price, customization, and feature relevance. Many ERP vendors are addressing the pricing problem by dropping the cost of their individual modules to compete with their cloud service competition, often moving to cloud delivery in the process. Customization is less easily handled as many ERP platforms rely on complex scripting languages to manage customization, often requiring value-add partners with scripting expertise to add their costs onto an ERP implementation simply to get customers up and running. But that’s also changing as many ERP platforms move to a design specifically aimed at easy cloud delivery and application programming interface (API)-level integration, like Oracle NetSuite OneWorld or SAP Business One Professional. Feature relevance, however, remains an unsteady variable as some vendors excel in this area while others aren’t as agile. Because an ERP framework attempts to address all or at least most of any particular company’s operation, introducing new features or technologies is more difficult since the stack those technologies address is much larger. It becomes incumbent on customers then to more thoroughly test the capabilities of any potential ERP tool purchase to make sure it will address their feature needs in the future. To help, we have compiled this short list of five trends that any potential ERP tool buyer should consider in 2019. The ERP behemoths that have traditionally dominated the industry are facing stiff competition from new, often Software-as-a-Service (SaaS)-only startups as well as the proliferation of new trends threatening to disrupt how enterprises gather and process data, and also operate. Companies such as FinancialForce(founded in 2009 and already having more than 1,300 ERP customers) and Kenandy (founded in 2010) are building solutions on the Salesforce App Cloud to make their solutions more appealing to users of the most popular customer relationship management (CRM) and sales automation tool. However, while having your ERP app delivered via SaaS has its benefits—most notably, cost and scalability—it also brings up the usual questions surrounding any web hosting project, especially performance and security questions. On the disruption side, big data, data visualization, and artificial intelligence (AI) top the list of new technologies that threaten to fundamentally alter the way ERP systems are built and used. Enterprises looking to upgrade or migrate their ERP systems in 2019 will need to pay attention to how their new prospects handle these trends. Database performance will be a key performance indicator (KPI) for ERP in 2019, even moreso than it is today. Meanwhile, how the database handles big data warehousing and querying will also be important. And once data is gathered, how users are able to visualize and present it for consumption by themselves and their colleagues is another important criteria. Microsoft Excel may still be the most popular data visualization tool on the market, but that’s changing as new tools such as Tableau Desktop or even Microsoft’s Power BI are giving users new options for data processing and consumption. Traditional ERP apps are stored on your servers, which means you’re responsible for upfront hardware costs, long-term hardware maintenance and expansion, and data backup and recovery. SaaS-based apps are stored on cloud-based servers, which are much less expensive, much quicker to update and scale, and don’t take up any valuable office space with clunky servers. The hardware difference alone can mean a savings in the tens of thousands of dollars in terms of total cost of ownership (TCO), facilities management, and per-seat licensing costs. If you’ve already heavily invested in your vendor’s on-premises ERP tool, then don’t immediately jump ship to the same vendor’s SaaS product. Your incumbent on-premises ERP vendor may offer an attractive migration path to SaaS, and also remember that ERP isn’t an on-premises or off-premises decision. Hybrid ERP systems aren’t just possible: they’re becoming popular in some segments as long-time ERP customers enjoy the ability to move certain ERP functions to the cloud while maintaining tighter, on-premises control over other facets, especially those most vulnerable to compliance regulation. Apple iOS: The next enterprise platform?